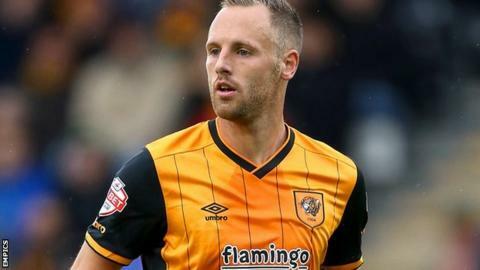 Hull City midfielder David Meyler has signed a two-year contract extension. The 26-year-old Republic of Ireland international joined the Tigers from Sunderland in January 2013 after a spell on loan at the KC Stadium. In total he has made 107 league appearances for the Championship side, scoring 10 goals. Meyler tweeted: "Delighted to have signed two more years at Hull City, tops off an amazing morning after the birth of my daughter."